Federal finance officials were concerned last summer by the threat of a diplomatic and trade crisis with Saudi Arabia exploding to draw in other countries in the region — potentially putting billions of dollars in direct investment in danger — newly-released documents reveal. A briefing note prepared for Finance Minister Bill Morneau just days after the dispute erupted last August was obtained by CBC News through the access to information law. The documents lay out the possible economic consequences of the abrupt Aug. 5 suspension of new trade and investment in Canada by the desert kingdom — triggered by a tweet from Canada’s foreign affairs department that expressed “grave concern” about the Saudi state’s arrest of human rights advocates. The Saudis responded to that tweet by expelling Canada’s ambassador, freezing all new trade and investment transactions between the two countries, suspending all Saudi Arabian Airlines flights to and from Toronto and ordering Saudi students to leave Canadian schools. The Department of Finance analysis measured the economic consequences by looking at imports and exports between Saudi Arabia and Canada and the amount of direct Saudi investment in Canada’s economy. At the time, much of the dollars-and-cents public discussion focused on the dispute’s possible effect on the $15 billion General Dynamics Land Systems Canada deal to sell light armoured vehicles to the kingdom. In fact, the analysis presented to Morneau found that Canada’s primary point of economic vulnerability in a bilateral dispute with the Saudis was the $2.6 billion of Saudi imports into Canada and the $1.2 billion in direct investment by the Saudis in this country. But what finance officials were really focused on was the risk of the dispute expanding beyond the bilateral and drawing in Saudi allies, such as the United Arab Emirates (UAE), Bahrain, Egypt, Kuwait and Oman. That scenario would have been far worse for Canada, putting $7.5 billion in direct investment at risk. Finance officials believed the UAE — a close ally of the Saudis in the region and, notably, a partner in the coalition involved in the long-running war in Yemen — would be the bellwether, signalling whether Saudi Arabia’s rage would spread beyond its borders. “To date [the Kingdom of Saudi Arabia’s] closest partners — including UAE, Bahrain, the Palestinian Authority and a handful of African states — have issued only statements of support, rather than measures against Canada,” says the heavily redacted briefing note. Thomas Juneau, a Middle East expert at the University of Ottawa, said the fact that the document is heavily censored makes it hard to work out just how worried officials were about the prospect of escalation. In the end, all the Saudis got from their closest allies were statements of support for its stance on Canada. Juneau said he doesn’t believe those countries have been blind to the provocative actions of Crown Prince Mohammed bin Salman. The Crown prince has been widely condemned for his prosecution of a bloody war against Houthi rebels in Yemen which has killed thousands of civilians and triggered a humanitarian crisis, and his role in the grisly assassination of regime critic and journalist Jamal Khashoggi, a U.S. resident. “My assumption is that the UAE saw the Saudi actions against Canada as an overreaction and following suit would not have been beneficial for them,” Juneau said. On the flip side, Canada’s allies — notably the Americans — were slow to back the Trudeau government last summer as the disagreement escalated. 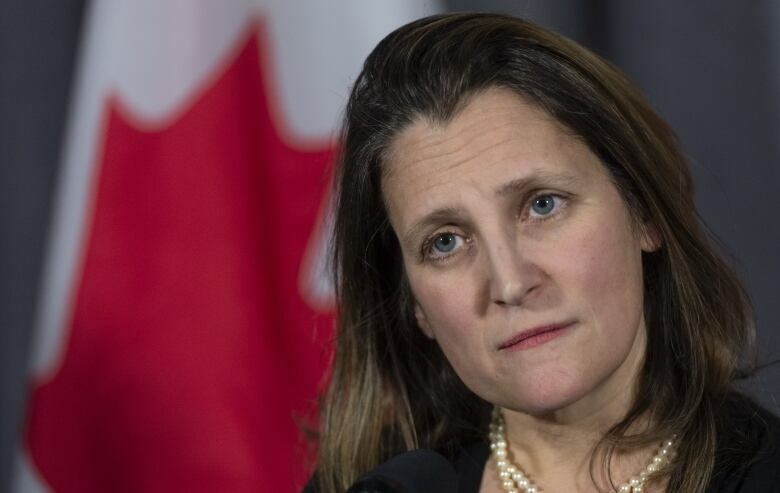 That forced Foreign Affairs Minister Chrystia Freeland to reach out not only to long-standing western partners, but to other nations with close relationships with the Saudis. A separate set of Global Affairs Canada documents, obtained by CBC News under access to information law, show that one of the first phone calls Freeland made after the crisis erupted was to UAE Foreign Affairs Minister Sheikh Abdullah bin Zayed al Nahyan. The two foreign ministers spoke on Aug. 7. The dispute has had an impact on the bottom line of the U.S. parent company of General Dynamics Land Systems Canada. The Washington Post reported in January that hundreds of millions of dollars in Saudi payments to the company for the armoured vehicles were held up because of the falling-out with Canada.